online law publications in South Africa since 1998. Potchefstroom Electronic Law Journal/Potchefstroomse Elektroniese Regsblad (PER/PELJ) is published by the Faculty of Law, North-West University. It publishes contributions relevant to constitutionalism and legal development, globally. PER/PELJ is an internationally accredited journal for South African authors since 2004. PER is hosted by Open Journal Systems (OJS) Software supported by ASSAf and contributions are published continuously from 2016 onwards. 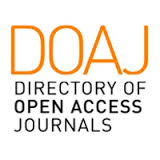 All published contributions are identified by DOIs. Past publications will be transferred to the new system in due course. For now, they are still available on this website, which will also be updated from time to time. Please log into the new system at http://journals.assaf.org.za/index.php/per/index to access publications from 2016. PER charges a processing fee of ZAR120 per page and 15% vat with effect 1 April 2018. Please register at http://journals.assaf.org.za/index.php/per/index, and submit your article online - the submit button is in the top right corner.